Indoor parties will require the most preparation and thoughtful planning. Since foam is essentially soap and water, it is important that anything that can be damaged by water is covered or moved out of your venue. Sensitive flooring, drywall, and permanent electronics like speakers and lighting can be challenges. Many people assume that an inflatable foam pit can solve many of these issues alone. This can often be a weak solution for indoor events. They can leak, and become very slippery. In addition, they are very constraining in the size of your foamed area. 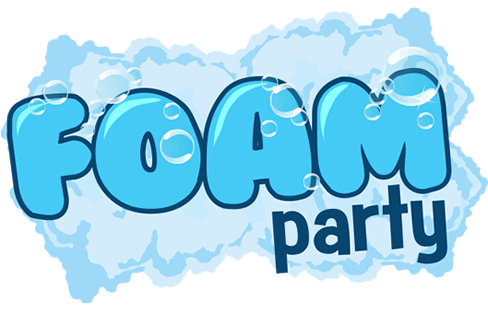 Rolling Video Games of New England will not prepare a venue for the foam, nor are we responsible for any damage due to having a foam party indoors. Undoubtedly, water resistant venue surfaces like tile and brick do not need to be covered nor protected. For those more sensitive, tarps and plastic sheeting will create a personalized pit that will be custom to your foam party venue. Rolls of plastic can be found in local hardware stores and heavy duty duct tape can be used to seal the seams. Rolling Video Games of New England will not supply or apply any tarps at any venues. It is important that the power is cut to any electrical outlet that the foam will come near. In addition, you should cover the outlets thoroughly as an added precaution even once the power is cut to the circuit. There are a variety of locations that can work including grassy yards, parking lots, patios, sports courts, sandy areas, or poolside. 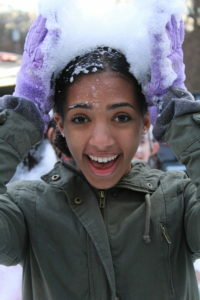 While promoting your foam party and getting the word out, include safety information. Tell guests to leave electronic devices and cellphones at the coat check or in their cars. Advise party-goers that games such as “slip and slide” are not permitted because of potential collision and injury. While you might not implement a dress code, you may want to recommend that your guests wear protective footwear. Guests will likely get their feet stepped on so flip-flops are not an ideal choice. Don’t allow sliding and skidding. Use plastic cups and plates. Because foam parties tend to get a little bit more rowdy than regular parties, it is not a good idea to use glass cups or plates that can shatter and leave sharp pieces on the floor. The foam will cover the evidence of a broken glass, which could cause others to cut their feet or ankles. Minimum space: 24L x 24W x 6H for Pit, 50L x 50W without. Surface: Cannot be set up on dirt, rocks, sand or within 10ft of in ground pools. Beach balls, Balloons, Pool Noodles, Music, Glow items, are just a few of the items you an add on to make your party unforgettable! 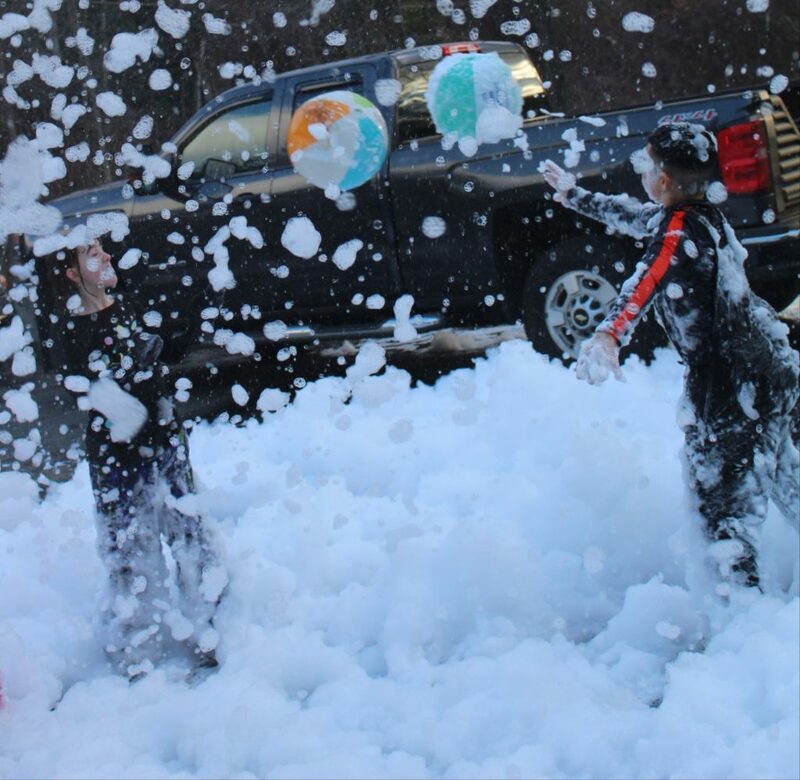 Party foam eventually turns into soapy residue, so have a cleanup plan prepared. Ask a couple of people to volunteer to help clean after the party. Purchase a few mops and squeegees from your local supply store and plan to mop up all the water and residue to return the venue back to its pre-party condition. Cleanup may include bringing furniture back in and putting it in its place, removing protective plastic from certain areas, and reconnecting all plugs and extension cords. Rolling Video Games of New England will not be responsible for any clean up at the end of an event. There is never any diving into a foam area allowed. Just like any soap product you will want to wash any residue from your body and cloths once you are done with your foam party.